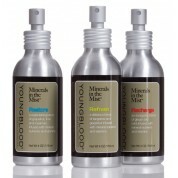 You might think of Youngblood Mineral Cosmetics as purely a makeup company. While they do specialize in mineral based makeup, they also offer a Body line of products to enhance your entire look - from head to toe. 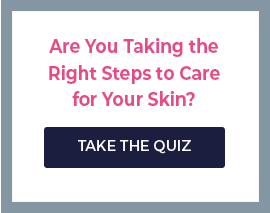 These products aim to take what Youngblood Mineral Cosmetics usually does for your face and apply it to the rest of you so you can look and feel your best. Youngblood’s new Mineral Illuminating Tint gives you a summer glow all year round. Everyone loves that sun-kissed, just home from vacation look, and Mineral Illuminating Tint allows you to have that look no matter the season. This long-lasting formula goes on smooth and won’t streak, so it looks entirely natural. Everyone will think you just returned from a weekend in Hawaii! But you won’t just look great, Mineral Illuminating Tint is loaded with antioxidants and natural oils that moisturize the skin and infuse it with vital nutrients. With the decadent scent of coconut oil and shea butter you will not only look like you’ve been on vacation - you’ll smell like it too. If you’re going for a shimmery look perfect for going out at night, then look no further than Youngblood Mineral Cosmetics Lunar Dust. These light-reflecting particles can add to any look. You won’t look shiny, but you’ll definitely look like you belong in the spotlight! So the next time your thinking about how to complete your look from head to toe, don’t forget about Youngblood Mineral Cosmetics. I’ve seen the Mineral Illuminating Tint applied, and could not be more impressed with the natural, sun-kissed look that it gives. I’ve also used the Lunar Dust myself, and could not be happier with the polished look it gives. Youngblood might not be known for its Body products yet, but with products like these, it soon will be.